Known for our quality content and innovative resources across the counseling and counseling research curriculum, we are trusted by instructors, students, and practitioners to provide the tools needed to become successful 21st century counselors. Our groundbreaking textbooks, highly influential journals, and must-have reference materials help counselors and future counselors to make a difference in the lives of their clients. 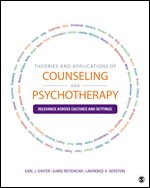 Theories and Applications of Counseling and Psychotherapy provides students with the foundational knowledge needed to implement various therapeutic approaches in individual and family counseling. 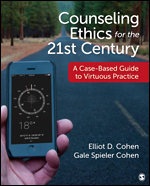 Counseling Ethics for the 21st Century prepares students to address ethical issues arising in contemporary counseling practice. Drawing significant contributions from the fields of psychology, sociology, medicine, anthropology, law, education, history and literature, OMEGA has emerged as the most advanced and internationally recognized forum on the subject of death and dying. It serves as a reliable guide for clinicians, social workers, and health professionals who must deal with problems in crisis management, e.g., terminal illness, fatal accidents, catastrophe, suicide and bereavement. Sign up for e-alerts.